There are thousands of free and premium WordPress themes available. 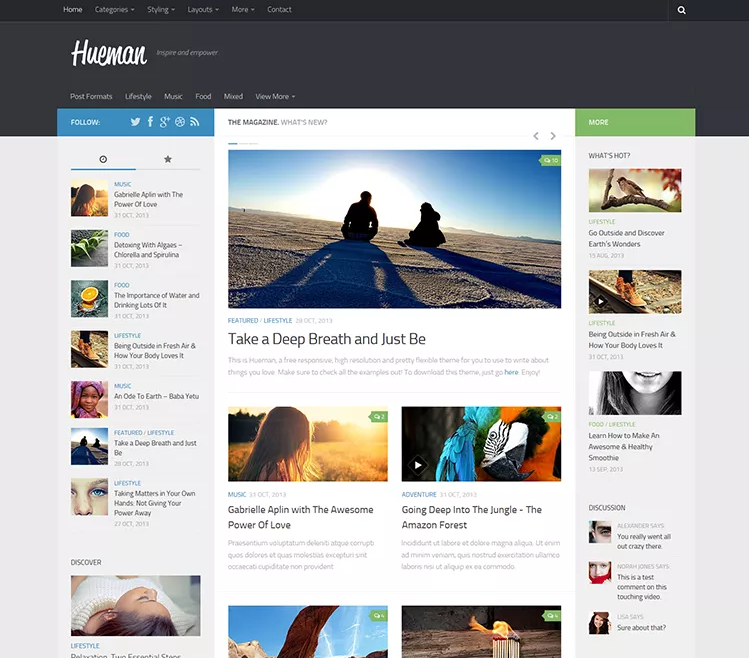 Some of these themes are extremely popular and used by hundreds of thousands of users. 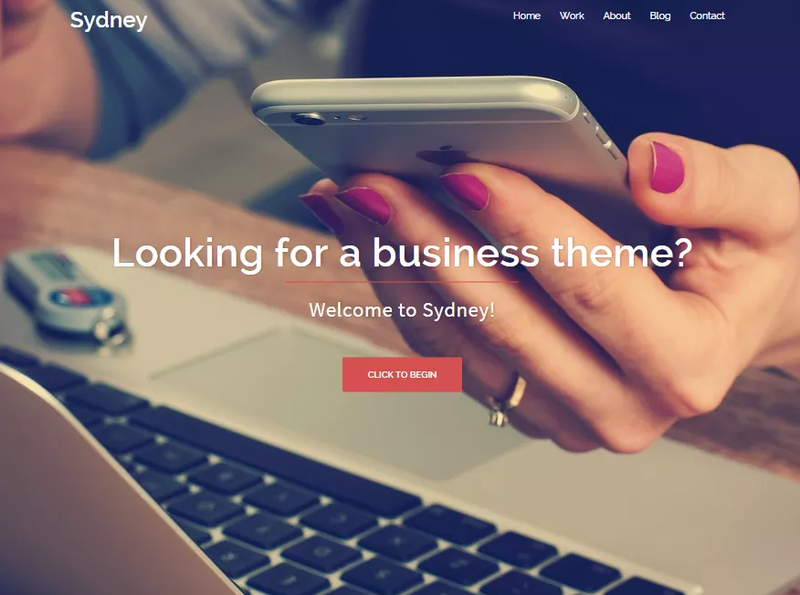 In this article, I will list the 10 most popular free themes from 2015 available at WordPress.org. Some of these themes featured below are more popular than others. I am not going to list the WordPress ‘Twenty’ series themes in this article (e.g Twenty Sixteen, Twenty Fifteen etc.). It’s very difficult to beat all of the ‘Twenty’ series themes. They come pre installed with WordPress. The most popular option, Twenty Fifteen, has 1+ million active installs. The least popular ‘Twenty’ series theme, Twenty Sixteen which has just recently been released, has 100,000+ active installs. Four menu positions and more. Responsive is WooCommerce compatible, Multilingual ready (WPML), RTL-Language support, Retina-ready and Search Engine Friendly theme that is currently translated into over 45 languages. 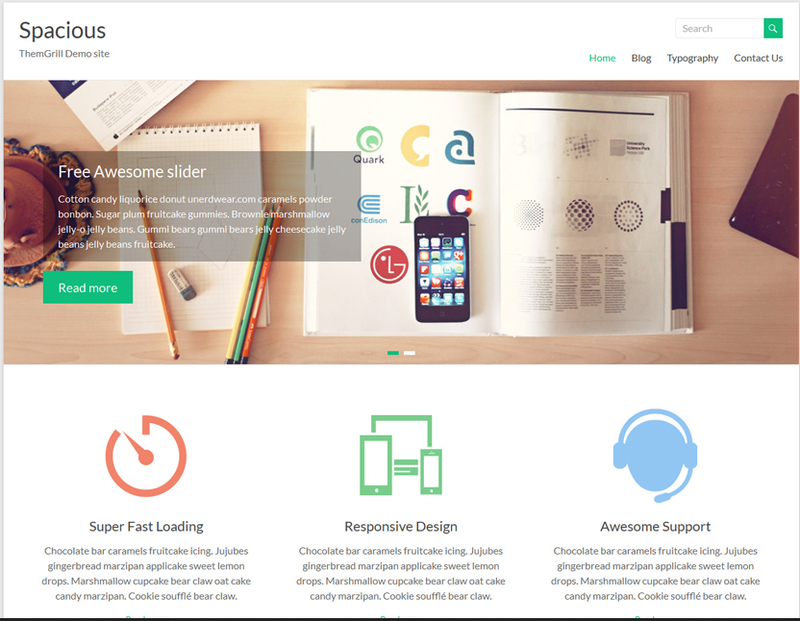 Customizr is a versatile and easy to customize fully responsive professional WordPress theme. The developers claim that this theme is designed with visitor engagement in mind and allows anyone to create a beautiful, fast and mobile friendly website, compatible with all browsers and devices. Customizing this theme is very simple and it works well with major WordPress plugins like WooCommerce, bbPress, Jetpack and many others. A Pro version is also available. Vantage is a flexible multi-purpose theme. According to the developers (SiteOrigin), its strength lies in a tight integration with some powerful plugins like Page Builder for responsive page layouts, MetaSlider for big beautiful sliders and WooCommerce to help you sell online. 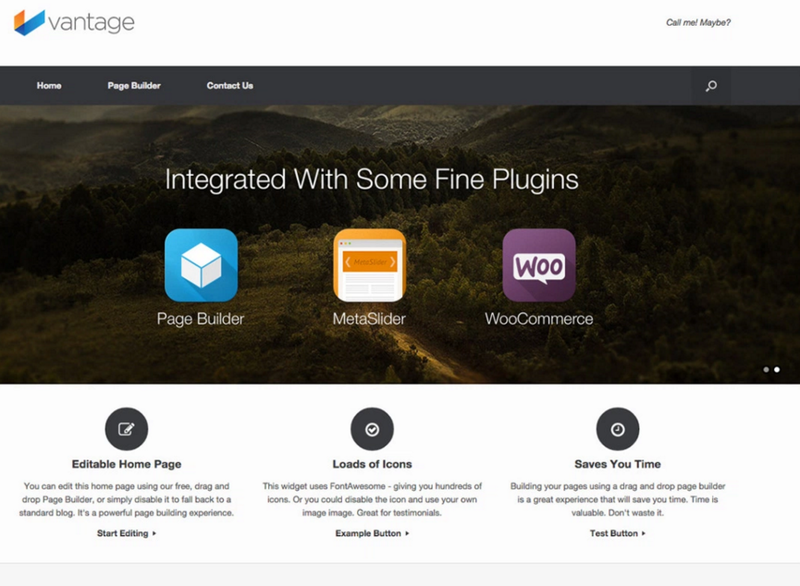 Vantage is a fully responsive and Retina-ready theme. Logo upload and many more useful admin panel features. 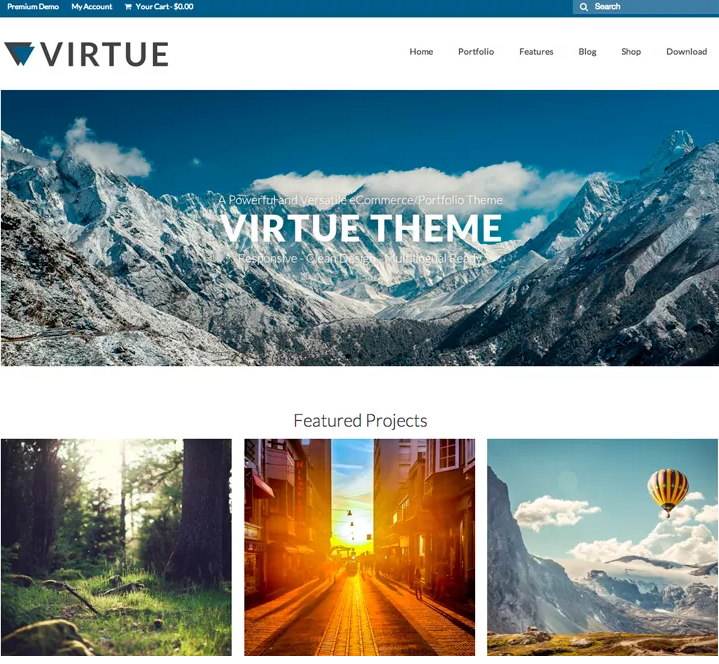 The Virtue theme is highly versatile with tons of options, it is easy to customize and is loaded with great features. 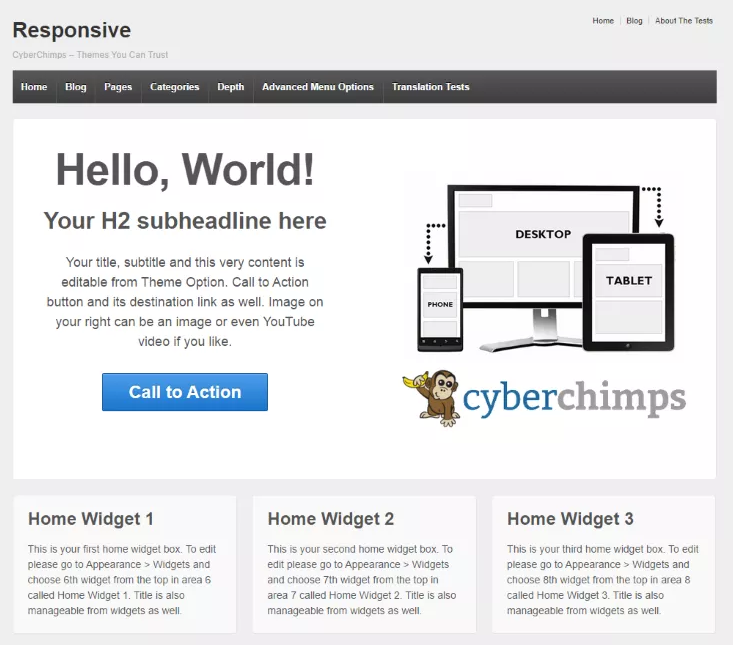 This theme uses the popular responsive front end framework Bootstrap. The clean and modern design is built with HTML5 and CSS3. 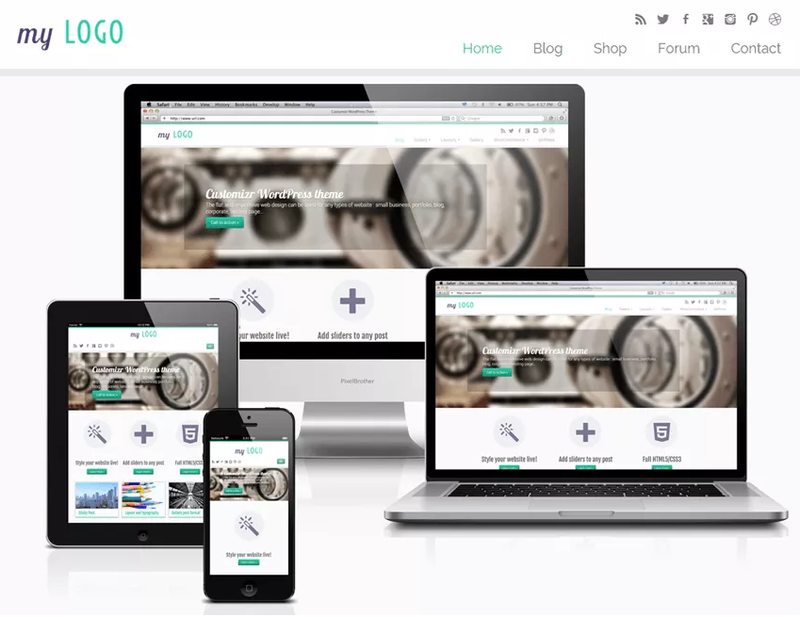 It’s fully ecommerce (WooCommerce) ready with all the tools you need to create an awesome online store. The design is perfect for any kind of business, online store, portfolio or personal site. The powerful theme options panel allows you to set things like your home layout, sliders, custom fonts and completely customize your look without writing any CSS. Translation ready and many more. Translation of this popular theme is available in many languages. Sticky navigation and much more. Also, Sydney provides all the construction blocks you need to rapidly create an engaging front page. 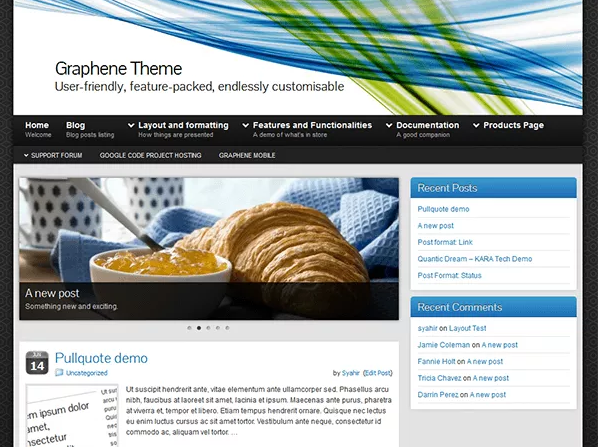 Graphene is very popular theme which offers a variety of options and features. This free theme is available in more than 30 languages. The free version of this theme is not responsive but the mobile-optimized pro version is available. 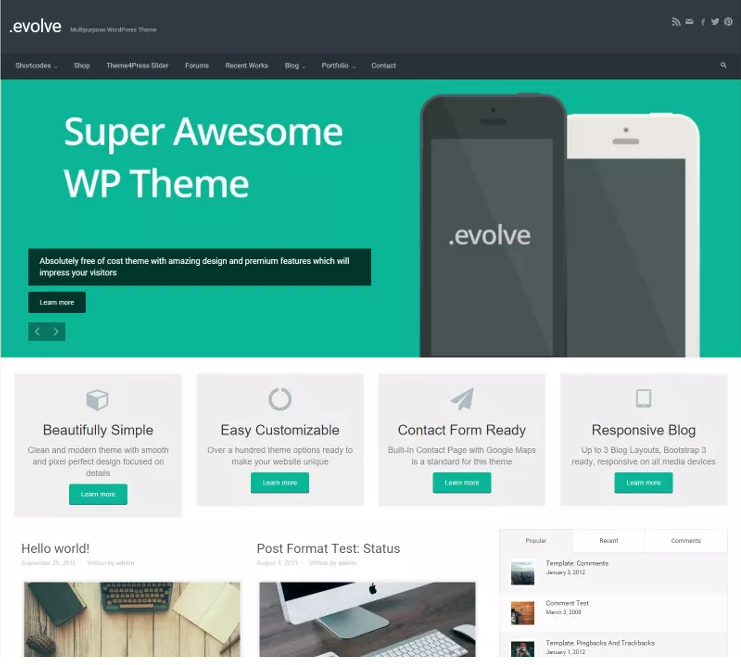 Evolve is a multi-purpose mobile friendly and responsive WordPress theme. This popular theme includes slick Bootstrap and a Parallax slider with up to five slides on any page and a post slider for 10 posts per post category. There are a number of different slider and animated effects to move captions and images into position and then back out of frame again. Bootstrap construction makes it easy to change designs around because the theme is build on a grid-like system. Customizing this theme is simple and easy with the theme customizer. I have only listed 10 of the most popular free WordPress themes in this article, there are so many other themes also available at WordPress.org you should definitely take a browse through. Which free themes do you use? Do you prefer free WordPress themes or premium themes?